Schumacher continues GP2 run in Spain | Marbella Marbella – Adelante! Michael Schumacher spent a second day behind the wheel of the GP2 Series “development” car at Jerez. Recently unretired Formula One star Michael Schumacher spent a second day behind the wheel of the GP2 Series “development” car at Spain’s Jerez circuit on Wednesday, where bad weather intervened once again. The track was wet at the start and at the end of the day. 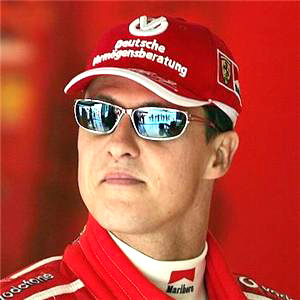 Schumacher completed 78 laps, 53 of which were on slick tires. However, that was still less mileage than he hoped for as he tries to get back in the groove and give his neck–injured in a motorcycle racing crash almost one year ago–a good test. Schumacher worked on rear-suspension settings for the GP2 machine, which will be revised with a new model in 2011.